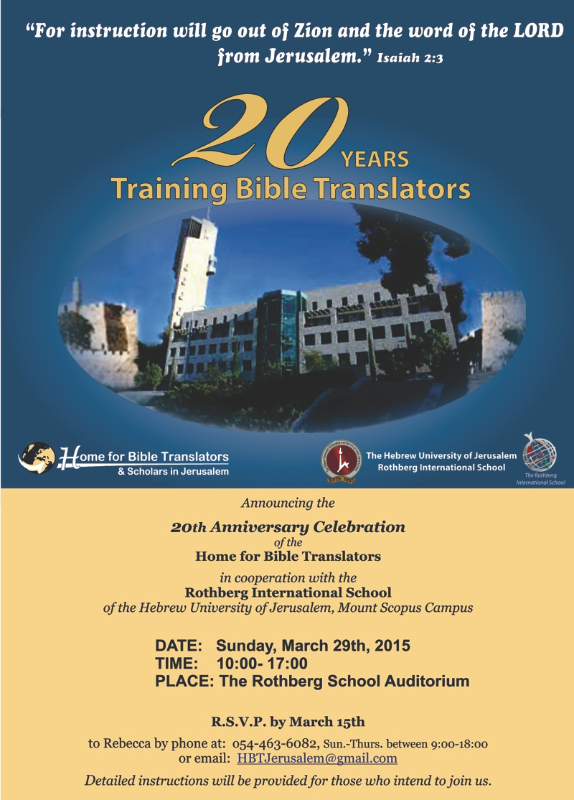 The Home for Bible Translators is celebrating 20 years of training translators in the land of the Bible, Israel (1995-2015). 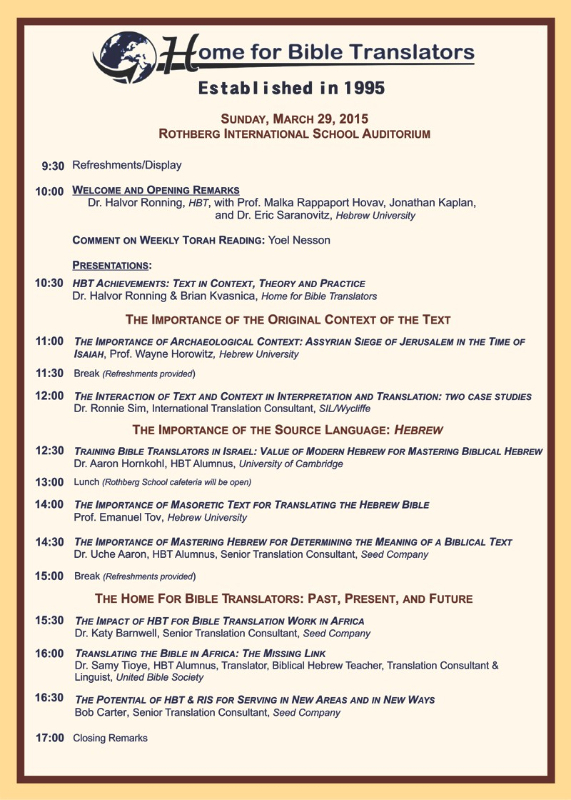 The program includes a day of lectures by distinguished HBT lecturers and alumni. You are welcome to attend (free). Please sign up! Happy to see you or hear from you! Halvor and Mirja Ronning & staff.